Undergoing surgery isn’t a decision that’s taken lightly. Having an understanding of postoperative depression is important as this understanding can facilitate healing. Depressed people take longer to heal. Consenting to go under the surgeon’s knife obviously means that we believe it will help us in the long run. Otherwise we wouldn’t agree. Thank goodness for anesthetics as pain is no longer the issue! In our modern times we accept surgery as something that has to be managed and then you get over it. Seldom do we think of the possible complications beforehand nor do we think of the possibility of postoperative depression. However, there are psychological issues that can crop up during the recovery period. Major surgery can shatter our belief of being invincible as we suddenly have to face our feelings of mortality, our feelings of loss and of being vulnerable. We’re not super-human after all! If you consider that all depression starts with a sense of loss it’s hardly surprising that depression can lurk in the aftermath of surgery. Having an amputation, a breast removal,or any other ‘removal’ from the body, can affect the body image. This physical loss negatively affects the self-image which in turn can trigger depression. Talking to medical professionals about the surgery and what to expect after surgery can help take the experience out of the ‘unknown’ and lessen anxiety. Try talking through your feelings to family and friends who’ll give you a listening ear. Write down your fears and get them off your chest. Read up about the surgery. Doing all these things can put the experience into a proper perspective. 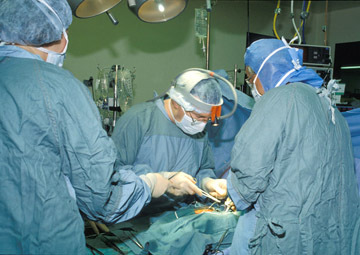 Depression immediately after surgery could be due to hidden complications such as a problem with the anesthetic or an infection. Delirium is another condition that sometimes happens one or two days immediately following surgery, especially among older people. Doctors know what’s happening when patients become incoherent, disoriented, or hallucinatory. In certain patients, delirium may rather appear as subdued behavior, much like depression. Either way, it’s important to treat the underlying problems such as anemia, hypoglycemia, or other deficiencies or imbalances. Postoperative depression, on the other hand, is more likely to occur after the crisis of surgery is over and the person is back at home or even at work. 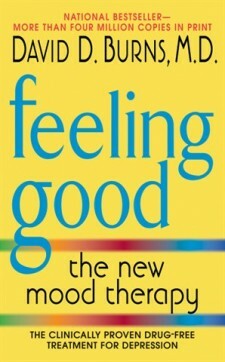 After already having gone through surgery it can make it extra difficult to then cope with the symptoms of depression. Some doctors even feel that depression after surgery is understandable and there is no need for treatment. They might not even talk long enough to the patient to make an accurate diagnosis. It is normal for a person to feel a degree of anxiety about their recovery. Some of the symptoms of depression like disrupted sleep, a lack of energy, poor appetite might be regarded as a ‘natural’ part of recovery, after all the body has been subjected to a high degree of stress. However if these symptoms last for longer than two weeks, depression could be indicated and medical treatment for depression should be sought. Depression is serious as it can slow down the process of recovery and depressed patients also tend to have more complications. Further reading: Symptoms of Depression, Depression, a physical illness.